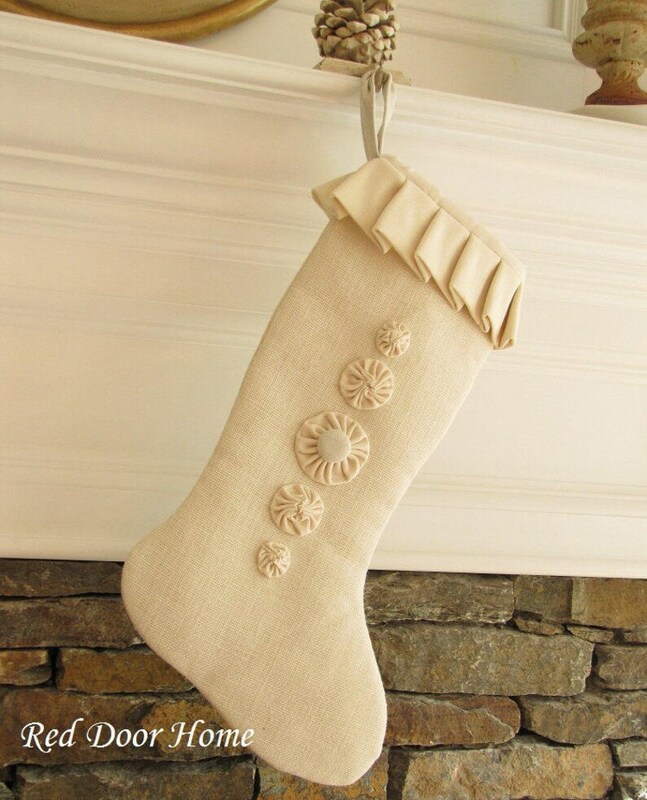 Made of winter white burlap with an ivory ribbed cotton ruffle top and a linen hanger. 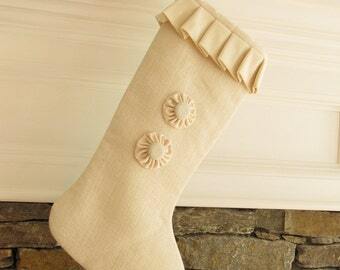 This stocking features five handmade rosettes. Fully lined and interlined for stability. 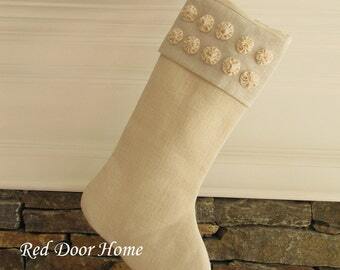 Looks great mixed with my other Large Winter White Stockings. 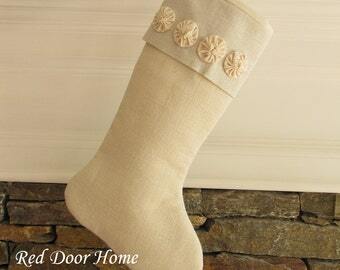 Listing is for one stocking as shown in first photo. 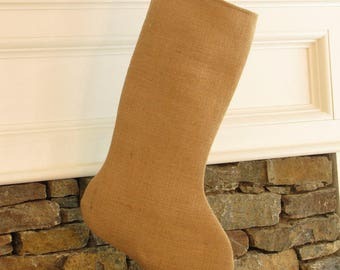 If you need additional stockings please convo me. I am always happy to combine shipping. 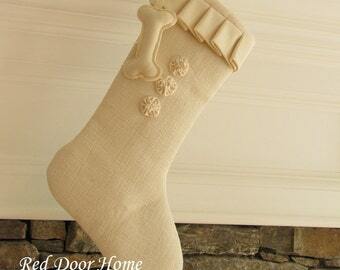 Also available are coordinating dog stockings. 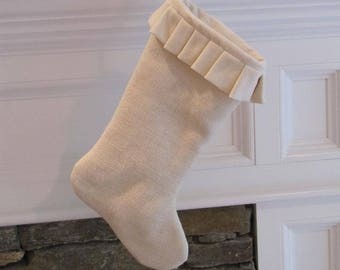 See my lisings here: https://www.etsy.com/listing/112962276/winter-white-burlap-and-linen-dog and here: https://www.etsy.com/listing/112962638/winter-white-burlap-and-linen-dog. We have loved our stockings we bought a few years ago and we knew we had to get a matching one for our baby this year! it’s absolutely perfect! 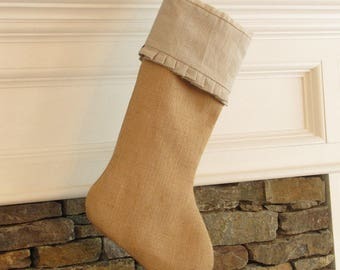 I originally bought stockings in 2014 for my husband, myself, and our daughter. 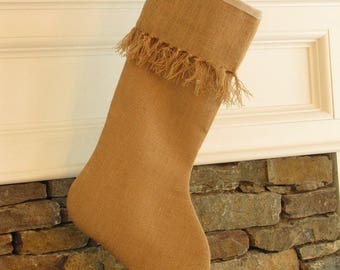 Bought an additional stocking in 2017 for our second daughter, and not another stock in 2018 for our third daughter. With the two additional purchases, I was sent fabric swatches before purchasing to ensure that the colors matched to the original stockings I ordered. These are beautiful stockings and very responsive and quick turn around. Thank you! 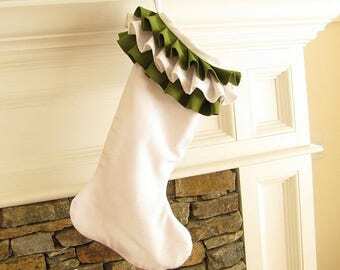 I think this is my eight stocking! They are stunning. So well made and shipped quickly. Thank you so much!